Okay, I'm not a historian, so bear with me as I probably butcher the history of tarot. Tarot started as a card game that depicted the minor and major milestones, problems, and triumphs of everyday life. Stuff like life, love, and loss. When they were first created, they had TONS of Christian imagery and had no connection to mysticism, which makes sense since Christianity was the main form of religion and the way that people lived their lives.. One article I read suggested that they were actually used to play a sort of "MASH" or "choose your own adventure" game and to write stories, poems, and other literature. Eventually, the woo woo side of tarot developed and that may be why you've heard of tarot today. It's still pretty misunderstood. I'm not going to go too far into it, but just a quick search about the history of tarot can tell you quite a bit of information. Today, I use tarot cards as prompts and reminders to focus on certain areas or themes in life. I use them to reflect on what's going on in my life and to make sense of what I'm experiencing. People use them for a variety of reasons, ranging from journaling about certain themes to predicting the future. The best way to learn how to read tarot cards is to get a deck and a book (or four). You can also use free websites like Learning the Tarot, Biddy Tarot, or The Tarot Guide. There are definitely more websites out there, but these are some of my favorites. Start reading books about tarot and doing tarot card readings for yourself or for others. Another great, but time-consuming, way to learn the tarot card meanings is to pull one card each morning, look up the meanings of the card, and then find ways to apply it or look for it during that day. Journaling about your card readings or card pulls is also key in learning tarot! 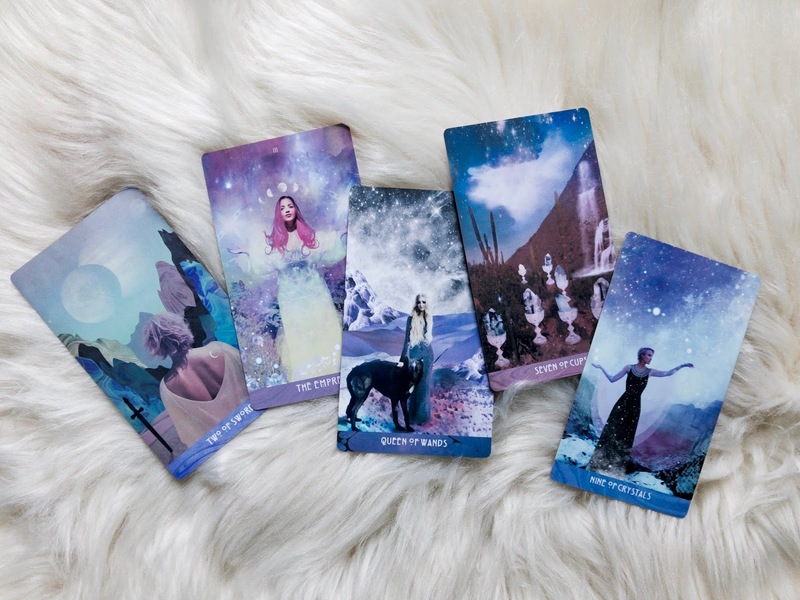 Your first tarot deck should be one that has easy-to-read symbolism, one that brings up memories and emotions. There are TONS of decks out there. I used Instagram to search for pictures of tarot decks and then looked for reviews of decks that had imagery I admired. One of my first decks was The Wild Unknown tarot deck by Kim Krans. Reading tarot cards doesn't have to be fancy and complicated. You can simply focus your attention on a question or topic, shuffle the cards, and pull your cards when it feels "right." Add in any details that make you feel more connected to the cards. Maybe burn incense or candle. Surround yourself with healing crystals. Turn on some ambient music. Do whatever feels best for you. And keep practicing to get better! Reading tarot cards is just like any skill... it takes time and practice! If you have any questions about reading tarot cards, let me know and I'll try to answer them or find an answer for you! Where's the face-palm emoji when you need it? 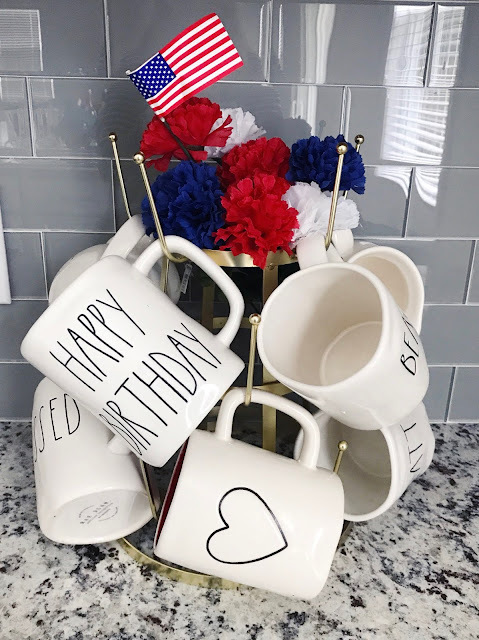 I was so excited to blog about my Independence Day decor and even had just a little blurb written out beforehand, but I totally forgot to schedule the post. Anyways, I decided that I would go ahead and post anyways. The decor wasn't super fancy and I didn't have a ton written, but I still wanted to share because this is the first holiday that we celebrated in OUR house! So here's my super late Fourth of July post. Happy Fourth of July! I'm sure all of you are enjoying the fireworks, picnics, and day off. I just wanted to share some of our simple Fourth of July decor with y'all. We didn't have a lot of extra time and energy to put towards decorating because of the move, but I did just a little bit. Michael's and Target always have the cutest decor and it was all so affordable! I actually didn't plan on decorating the house for the Fourth until I saw this cute fireworks sign at Michael's. 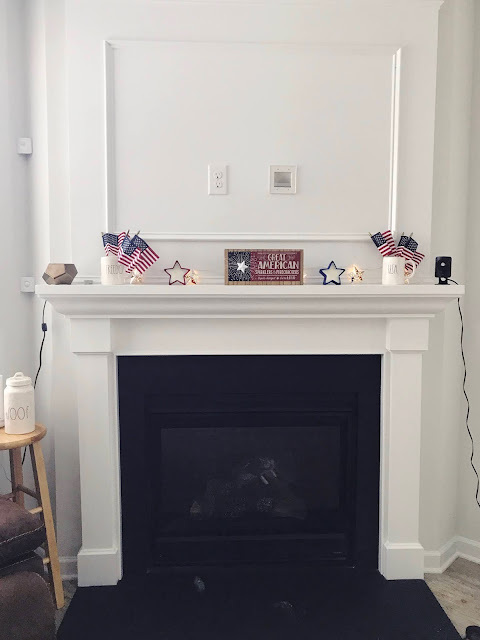 Adding these cute patriotic touches to our simple home decor makes me even more excited for some of the bigger holidays, like Halloween and Christmas (aka my favorite holidays and the best holidays to decorate for). Do you decorate for the holidays? If so, which is your favorite to decorate for? 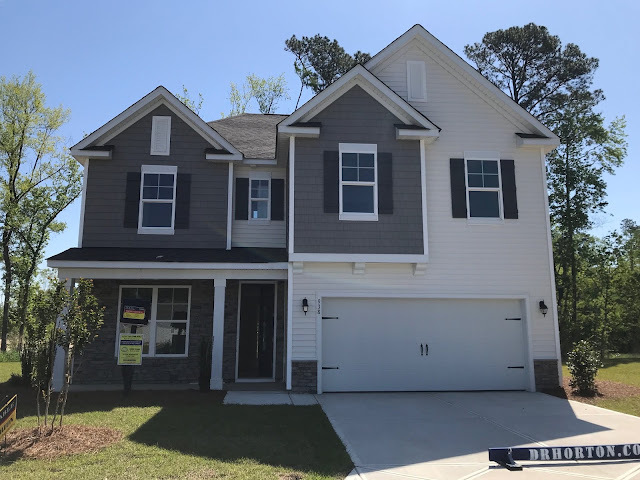 Tips For Buying Your First House + Our 1st House! Buying a house has been one of the most frustrating, yet exciting, things that Paul and I have done so far. We had to figure out what we wanted in a house both as individuals and as a couple. We wanted to figure out what best fit our current needs, but might also be able to keep up with any changes in the next 5-10 years. We ended up in a totally different area (and technically city) than we expected. And as cliche as it is, when we walked into this house, we knew that it had to be our home. After a couple weeks of unpacking and moving, we're finally at a point where I feel like this is OUR home and I'm excited to be able to share more pictures of how we decorate the house, especially for the holidays! Of course, you want to hear opinions and you want to ask people about their experiences. But at the end of the day, this is where YOU have to live! I was probably too stubborn because I pretty much ignored everyone's opinions because I was so blindsided by what I thought I wanted. Don't be that extreme. I know my first point was to figure out what you want and my second point was to stick to what you want, but of course you also need to be a little open-minded. What you may picture for your house may be totally different than what you actually like in person. Maybe an area isn't as special as you hoped. Or maybe you'll realize that you actually do like something that you swore you'd never have in your house. This was one of the most helpful things I did while we looked at houses. The videos and photos online tend to be either a) crappy and unflattering or b) heavily staged and edited. 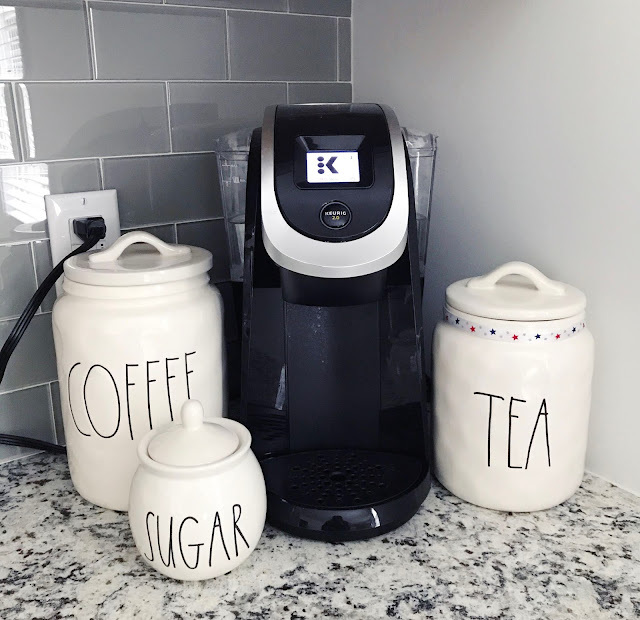 Taking photos will help you not only remember certain details of a house, but it's also incredibly helpful in planning where your furniture will go. It's nice to have an idea of where you want things before you go so you aren't moving the same piece of furniture around over and over. Site disclaimers: On occasion, The Life You Love Blog features affiliate links, sponsored posts, sponsored reviews, and other similar posts. All opinions are my own. Content featured on The Life You Love Blog cannot be reproduced without permission. © 2015 The Life You Love. Phoebe Template designed by Georgia Lou Studios All rights reserved.